← My First Semester in Law School: Not What You Thought. In America, the sentence never ends. With a multitude of “collateral consequences” to face, there are many reasons for one to either lie about their criminal history or try to avoid it. In reality, for one to develop an upstanding citizen lifestyle, they need to find work, a place to live, and get involved with their community. However, if they are barred from employment, barred from school or licensing, barred from housing, barred from voting, and/or barred from volunteering in their kids’ activities… the people who create these barriers are reinforcing the need for a criminal lifestyle in order to survive. Anita McLemore is a mother overcoming addiction. Anyone who has been there, personally or as friend or family, knows that there are bumps in the road… and once in a while that person has to catch a break. McLemore had the “luck” of living in Mississippi, one of ten states that have an outright ban on SNAP and TANF benefits for people with felony records. The other 40 states have laws mostly banning only those who do not comply with their releases, or in other words: takes into account their current behavior. But in her attempt to get a break, and get food stamps for her two children, this working mom lied and did not check the box regarding her criminal history. She likely would have gotten food stamps in Tennessee, Florida, and Louisiana… in Mississippi she gets three years prison time, after pleading guilty. (Word to the wise: never plead guilty, nor let your client do so, and throw yourself on the mercy of the court. A plea “bargain” is a contract that requires something in return. Her federal public defender, Omodare Jupiter, should be ashamed, if nothing else). U.S. District Judge Henry Wingate bypassed the Federal Sentencing Guidelines that would have restricted the sentence to two to eight months (and perhaps probation). These are the same guidelines that judges claimed, for two decades, kept them from giving lesser sentences to modest drug possession cases. Judge Wingate also recently denied Ms. McLemore’s request for a two month stay of execution, so she could have additional time to prepare her children for this transition. Anita McLemore paid back the $4,367. Her biggest mistake, clearly, is not working on Wall Street, for a Savings and Loan, or for a mortgage broker. If she had a college degree and wore a suit to work, she would likely avoided prosecution altogether. On the same day she was sentenced, six people involved in a multi-million dollar mortgage fraud received less time than Anita McLemore. Presidents Bush and Obama could not even fill a single cell block with those incarcerated for the massive frauds that resulted in the economic meltdown that currently holds so much political currency. And amidst this meltdown, ironically, the federal government will spend approximately $500,000 to prosecute and incarcerate Ms. McLemore. And most ironic of all: now her two children are eligible for state and federal assistance; as their caregiver could apply for the same food stamps McLemore was ineligible to receive. 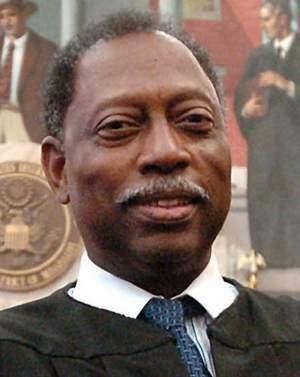 After eight years as a prosecutor, Judge Wingate was confirmed as a judge (for life) in 1985, and has been the Chief Justice of his district since 2003. As the first African-American judge in the history of Mississippi, this Reagan appointee receives numerous awards from the NAACP and other groups that fight for diversity. For an interesting account of Justice Wingate, who has been accused of corruption and partisanship, see a 2007 profile in Harper’s Magazine; http://www.harpers.org/archive/2007/12/hbc-90001999. Ultimately, what We the People must understand is that the Incarceration Nation does not consist of ten million evil people under government supervision. There are indeed people whose greed and malice impact others, and sometimes on a massive scale, but many of them never set foot in a courtroom. The cages of America look a lot more like Anita McLemore than most would believe. And the criminal justice system far too often endeavors to ensure that the ripples of a criminal conviction never stop; they are amplified, affecting people’s children. McLemore’s “crime,” was not an action but an omission… with the goal of getting bread. Wingate, on the other hand, took hundreds of thousands of dollars from the collective tax base and disrupted a family so that the most severe punishment could be inflicted upon Anita McLemore and her family. It is time to overturn Mississippi’s ban on food stamps to mothers like McLemore, stop the systemic discrimination against those with records, and to question the motivations of this federal judge (and others). This entry was posted in Courts, Rehabilitation and tagged Anita McLemore, collateral consequences, Mississippi, welfare fraud, Wingate. Bookmark the permalink. Pingback: Can We Take The Civil Rights Era Off Postage Stamps?